I drink a fair quantity of booze, most of it pretty good stuff, and I try to mix it up fairly regularly, variety being the spice of life and all. So if I had a martini last night, maybe tonight I'll have a daiquiri, and tomorrow a tequila Old Fashioned. If an oddball liqueur or an interesting new Indian whisky comes my way, I'll happily give it a shot. But one spirit that for me seems to get lost in the shuffle is brandy. It's not that I dislike it — I enjoy a glass of refined XO cognac or a Wisconsin-style brandy Old Fashioned as much as the next broad-minded imbiber. It's just that, when I'm looking for something to drink, be it at home or a bar, i seem to have a category-wide blind spot. Perhaps I'm stuck in the prejudicial notion that brandy is either for wood-paneled smoking rooms in gentlemen's clubs or rowdy, ear-splittingly loud clubs. But of course it's so much more than that. Back in the mid-1800s, before the phylloxera epidemic wiped out so many of the great vineyards of France, cognac was the backbone of many of the classic cocktails we now associate with whiskey. And of course putting the brandy back into those cocktails is a favorite 21st century pastime. Bertoux Brandy (40% ABV, $45). Who better to have develop a cocktail-friendly brandy than a bartender from legendary NYC bar PDT (Jeff Bell) and a sommelier from the equally renowned NoMad (Thomas Pastuszak)? 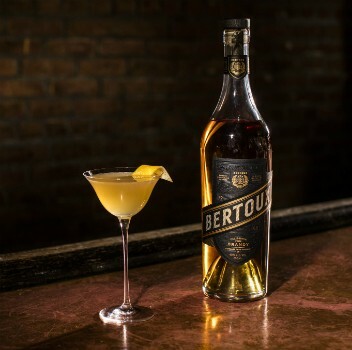 Bertoux is a blend of pot-distilled California brandies aged 3-7 years, and while it's a pretty nifty sipper, with a dry nose belying the oodles of ripe fruit on the palate, it really shines in cocktails, where all that fruitiness gets to mingle with other ingredients. It's my go-to for Sidecars, and it makes a mean Sazerac as well. I look forward to experimenting more with this one. Sacred Bond Bottled-In-Bond Brandy (50% ABV, $18). "Bottled-in-bond" is normally associated with whiskeys. And $18 will usually get you a snifter's worth of brandy, not a whole bottle. But for cocktail purposes, a young (4 years), cheap, high-octane brandy can be just what the bartender ordered. Sacred Bond is, to the best of my knowledge, the first bonded grape brandy on the market, and to my taste buds it's a success. It's one of the most whiskey-like brandies I've ever tried, with notes of plums and dried cherries complemented by a big, bourbon-y vanilla flavor, and a thick mouthfeel that's more reminiscent of a whiskey than a delicate brandy. But that similarity makes Sacred Bond a winner in whiskey cocktails. I tried it in a variation of a Final Ward, which is itself a variation on the Last Word — equal parts brandy (in place of rye), green Chartreuse, Maraschino liqueur, and fresh-squeezed lime juice. The added fruitiness made the cocktail more lilting and bouncy, without sacrificing any of the hefty flavor. It makes a mean Brandy Manhattan, too. And at such a ridiculously low price, you can afford to experiment plenty with it. 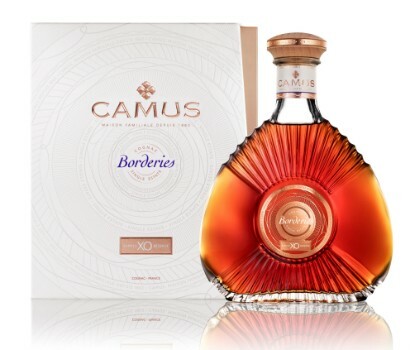 Camus XO Borderies Family Reserve (40% ABV, $199). Camus has been a favorite of mine since I first tried it several years ago; it was from tasting their expressions that the scales fell from my eyes (or my tongue, perhaps) and I realized just how beautiful cognac can be. So I'm a little biased, but let me tell you, this is terrific even by Camus' high standards. Using grapes exclusively from their own vineyards in the Borderies area of Cognac (large cognac producers generally buy their eau-de-vie on the open market), it starts off with the lush fruitiness I've come to expect from Camus, along with a little vanilla, adding on baking spices and cinnamon midpalate before finishing soft and gentle, with just a tiny kick of heat as it bids au revoir. A beauty, both outside (check out the bottle in the pic above) and inside. 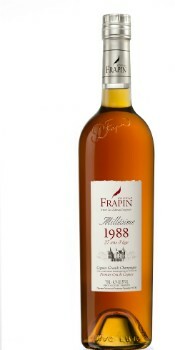 Cognac Frapin Millesime 1988 (41.5% ABV, $180). Single-vintage cognacs are rare beasts; consistency usually requires blending many different barrels of many different ages. But the distinctiveness of a cognac made from grapes harvested in a single year is becoming more appealing to cognac fans. One sip of Frapin's '88 vintage, distilled from estate-grown 1st cru Grande Champagne grapes, and it's easy to understand why. Aged for 25 years, it's bottled at a slightly higher-than-normal 83 proof, to bring out a touch more flavor. And indeed, this is a most flavorful cognac, bursting with fruit and vanilla, and concluding with a warm, gentle finish that belies its age. Only 1,000 bottles were produced, but it's worth searching out. 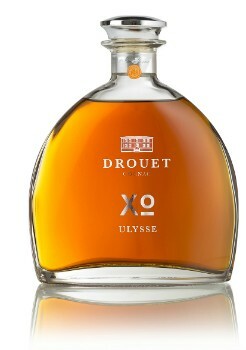 Cognac Drouet XO Ulysse (40.3% ABV, $135). Drouet is a small, family-run estate that produces its cognac — in this case, at least — in-house, from farm to bottle, or more accurately vineyard to bottle. XOs are required to be aged at least 10 years, but Ulysse clocks in at around 20. I tend to shy away from older XOs because the oak's influence can overwhelm the more delicate fruity notes, but in this case the wood and fruit harmonize like Simon & Garfunkel, Ripe fruit, dry tannins, warm spice... it's all there, in beautiful balance. And it doesn't cost an arm and a leg, either. Clear Creek Reserve Apple Brandy (40% ABV, $45). Apple brandy, or applejack (the two are distilled in different ways), has waxed and waned in popularity over the years, but thankfully it's now on the rise again. 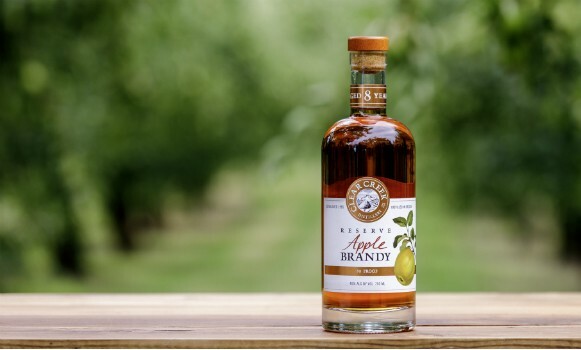 Its history in the States dates back to when Washington was a person, not a state, but this terrific brandy comes from the Washington in the Pacific Northwest, where local Golden Delicious apples are harvested, pressed, distilled, and aged for 8 years in French Limousin oak. The apple part of the experience comes when it first hits the tip of the tongue, fragrant and sweet and round. But it dries out as it glides throatward, and by the finish it's all wood and oh-so-slightly vegetal notes. A most elegant sipper that could give its grape counterparts a run for their money. 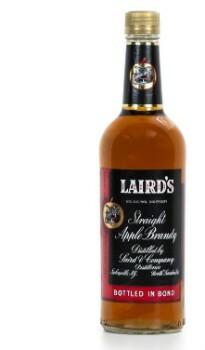 Laird's Bottled-In-Bond Straight Apple Brandy (50% ABV, $32). Bottled-in-bond is a pretty old-school move, dating back to 1897, when the government stepped in to stop the thieves and charlatans of the booze world from selling adulterated spirits. But Laird's history goes back much further, all the way back to 1780, making it America's oldest licensed, family-owned distillery.. Laird's has stuck around for a reason — they make good stuff. And this bottled-in-bond expression, making its first appearance in four years, is a most welcome reprise. It's a big, hefty brandy, rich and biting with apple flavor that evolves into a slightly funky finish, which I find a little similar to certain pot still rums. It makes a terrific cocktail; my fave (so far) is an Apple Old Fashioned, with maple syrup taking the place of sugar. It's an autumnal drink that's pretty damn delicious in January as well.